There’s a subtlety to Rourke’s directing that’s genuinely quite startling. Her gaze is intimate, lovingly admiring Mary’s neck as it twists during a love scene. It observes her blood bloom in the water of a copper bowl. Her talent sounds just as true on a larger scale. The court scenes are burnished with candles and darkness in chiaroscuro worthy of a Renaissance painting. The Highlands, in their bruised heather, dwarf the armies winding through their midst. The sound in this film is also remarkable. There’s a tendency to tidy up sound these days but this film rings with natural noise: the clatter of heels over stone, the rasp of swords being unsheathed, muttering in corners. However, the soundtrack itself is lazy. The main theme draws heavily on Zadok the Priest, the coronation piece, and repeats it multiple times, despite the wealth of choral music from this period. Unfortunately, this visual feast is hamstrung by its script, and most surprisingly, its cast. 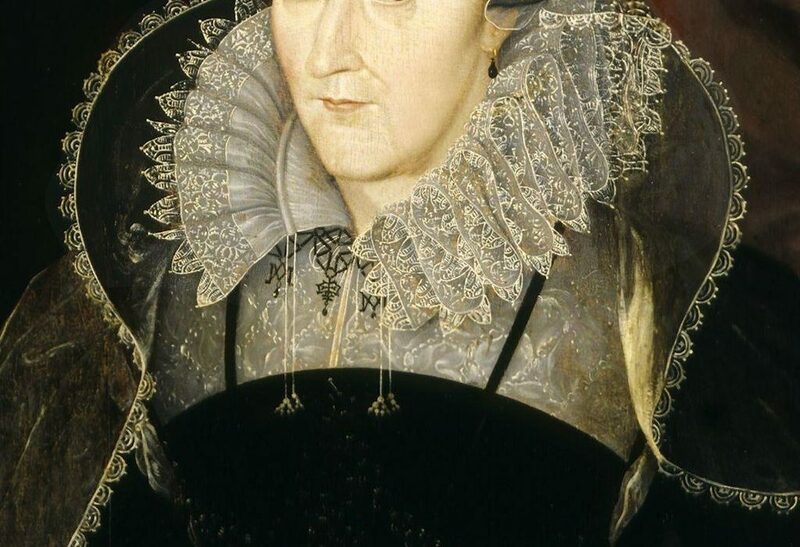 I thought Margot Robbie would be a perfect fit for this role, given that she was outstanding in I, Tonya, but she fails to capture Elizabeth I’s essence. In fact, she seems lost behind the white face paint, the elaborate wigs and costume. There is none of the ferocity that won her so much acclaim as Tonya Harding. I also found Saoirse Ronan underwhelming as Mary, and I can’t quite put my finger on why. Though she goes through all the motions, I felt a distance from her that I couldn’t cross. The most convincing performance came from David Tennant as the fervent misogynist and Protestant performer, John Knox. He does a wonderful turn, eyes glinting from under the hat and copious beard while he raves at pulpits. I shouldn’t have felt the most interest in him as a character. Guy Pearce had a fleeting charm as William Cecil, but once I’d thought of him as a B&M Mark Rylance it wouldn’t leave my head. Willimon’s script could learn from Hilary Mantel’s Wolf Hall; he labours to push an issue in almost every line, and it feels clumsy and obvious from the start. Mantel does not attempt to gloss over the aspects of life that a modern audience would find distasteful. She focuses on the emotional content, which is far more successful. The most feminist moments in Willimon’s script, for example, the domestic scenes in which Mary’s maids’ love for her shines, are drowned out by endless speeches. There’s also blatant disrespect for historical accuracy — Rourke’s wonderfully tender rendition of Mary and Elizabeth’s fictional meeting I found successful, at which I was taken aback. However, elsewhere there’s just no need for the invention when re-telling the Tudors. It does both Mary and Elizabeth a disservice, given their incredible lives. Their complicated rivalry is worthy of retelling, but not at the expense of their individual achievements.